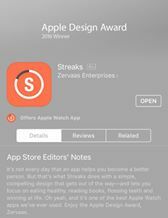 At the Apple World Wide Developers Conference in San Francisco, our technical partners Isaac Foreman, and Quentin Zervass won an Apple Design Award for their productivity app Streaks. 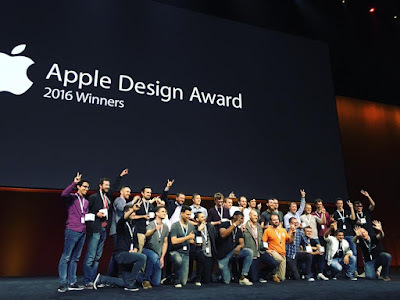 The application is sleek, and beautifully designed. It enables you to set up to 6 reminders a day, and integrates with various health and other apps to monitor your progress, and send alerts. The guys are in the picture above - the orange T-shirt, and the khaki jacked beside him. It's not rocket science, but it is beautifully designed both in look and feel, and functionality. Congratulations Isaac and Quentin and we look forward to working with you in the future. Might even have to get some of our clients to commission apps!